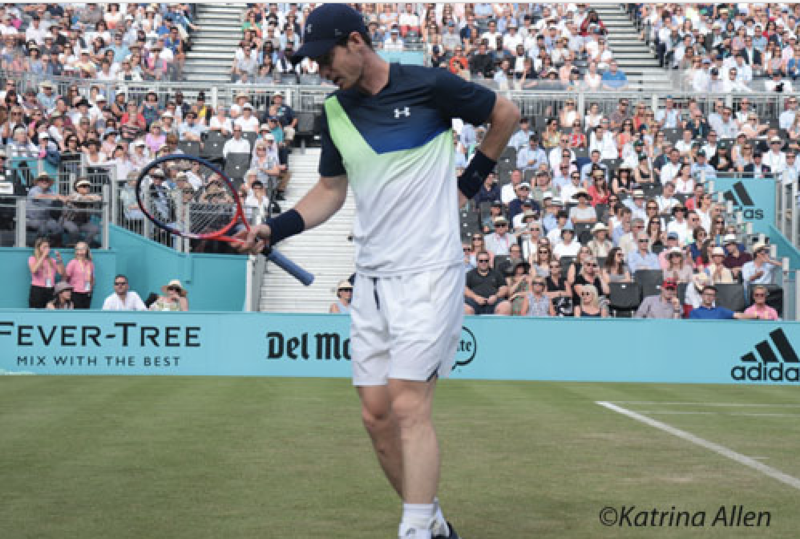 Murray lost in a three-setter against Nick Krygios at Queen’s and appeared to be in physical trouble, at one point clutching at that injured hip. Murray, who relies so much on his defensive skills, has looked a little slow and has lost a lot of pace since his comeback. In fact, against Krygios at Queen’s, Murray made a first serve at 70 mph! Krygios just whipped the ball and Murray’s shots looked so much weaker. In any case, if he’s had problems in three set matches, it’s unlikely he would have gone far at Wimbledon over the best of five and might have just made the injury worse. btw, I just saw that Paire beat Shapovalov at Wimbledon – I think he would have murdered Murray. I reckon he avoided a real humiliation. So, all eyes on Kyle Edmund, who finally seems to be enjoying the grass, previously a surface on which he hasn’t had a great deal of success. Will he beat Novak? Unlikely, and anyway, he is likely to be distracted if England are playing the football at the same time. In fact, the centre court might be half-empty!